Keeping a picture journal in my pocket can be quite an addiction. I usually post a picture a day on Instagram. Yesterday, I was looking through my feed and realized that a lot of them never make it on the blog. So, today I though I would share. 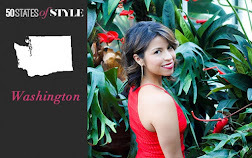 Take a peek at what I've been up to this past week. 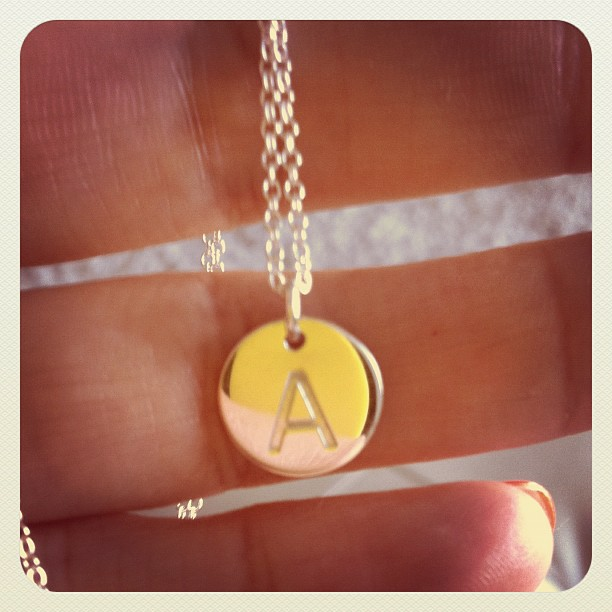 Jewelry, signs, books - some of my favorite things. 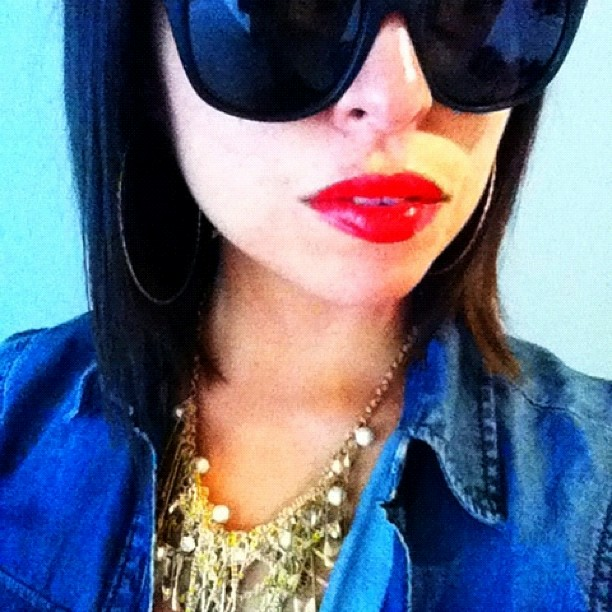 Some of my favorite things: Dark shades, red lipstick, denim shirt and a crazy necklace. 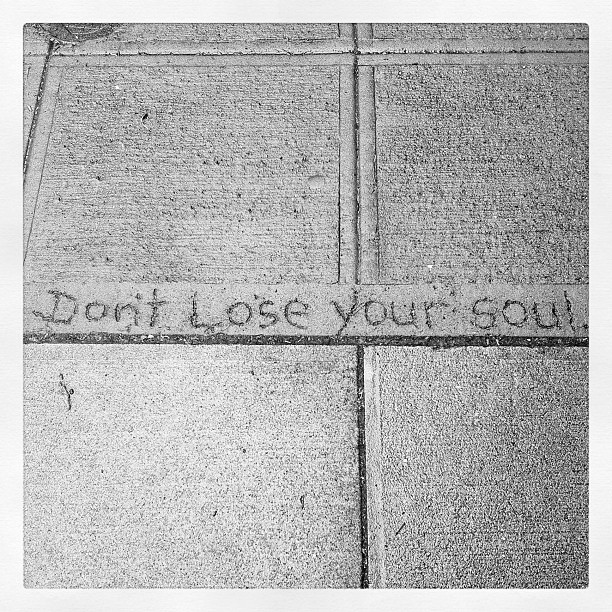 When you skip the bus and decide to walk, you may come across a little piece of wisdom. 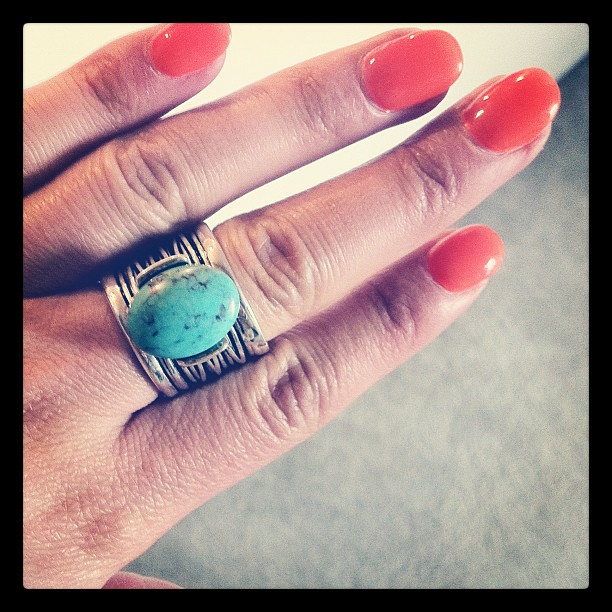 I went to a Jewelry party on Saturday and came home with this turquoise beauty from Premier Designs. The sweet Jessica Piha gave me this beautiful Blue Nile necklace as birthday gift. 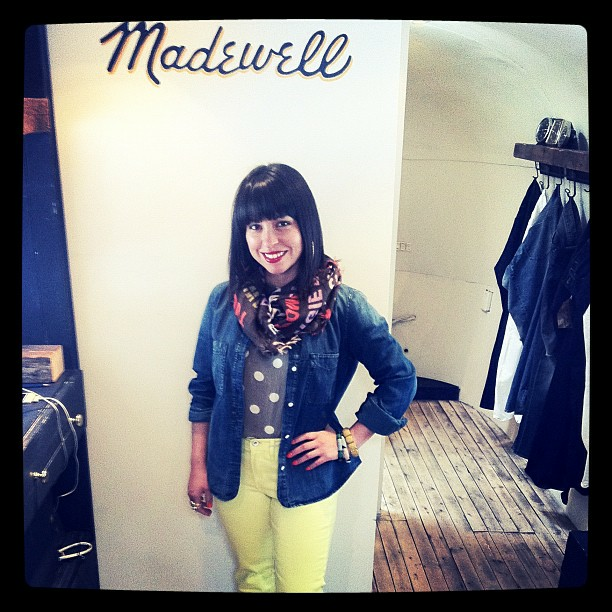 Madewell stopped in Seattle & I played dress up. See more here. This week I was fortunate enough to go see Alexandra Wilkis Wilson in person. 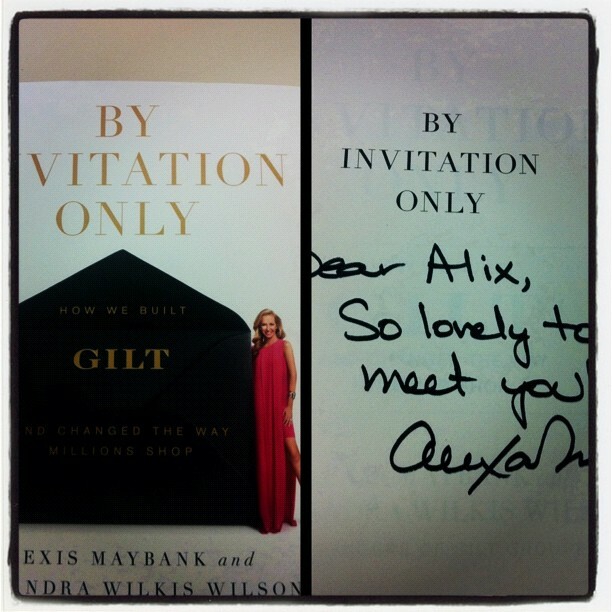 One of the ladies behind Gilt Groupe made a stop in Seattle for her book tour. I love the way this picture looks like its from the 1960's. But I took it earlier this week. 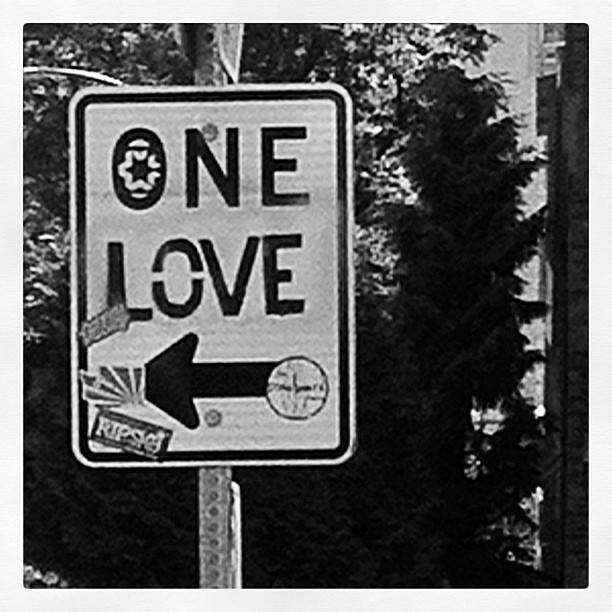 Also One Love is one of my favorite songs. I try to only post one a day, but sometimes you can't help yourself. 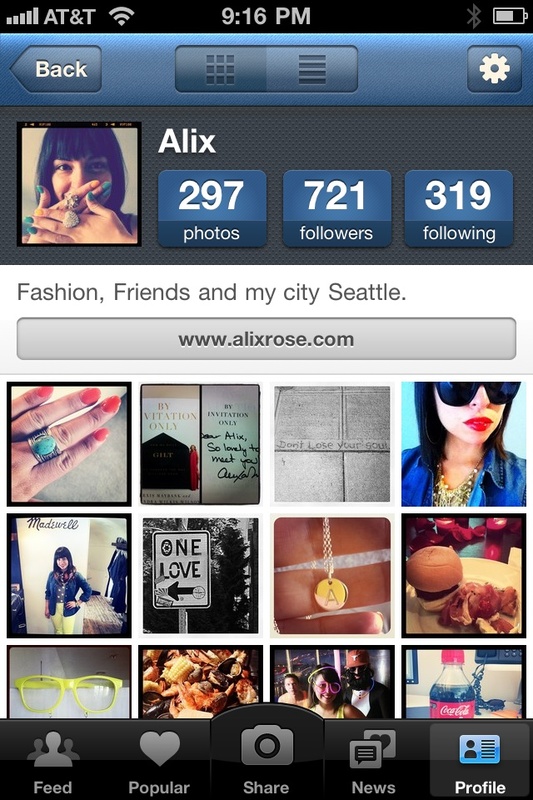 The addiction isn't out of control, I instagram responsibly.